The What: The Maevex 6150 quad 4K encoder appliance affords the full feature set of the Maevex 6100 quad encoder PCI Express card, delivering quad 4K capture plus multiple encodes to stream and/or record at low bit rates. Offering four or more channels simultaneously, the Maevex 6150 provides an all-in-one, dual-density form factor with the additional IO befitting an appliance. 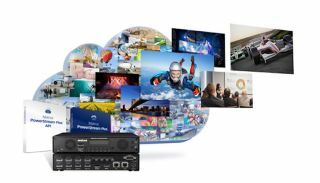 The What Else: With Maevex 6150, users can integrate 4K streaming and recording into workflows, with per-input, zero-latency pass-through providing content to local workstations in real-time. It allows the preview of media through a composited DisplayPort output display, so content appears exactly as intended before transmission. Users can find device IP and multiple stream addresses, system information, and other key information on the on-device LCD screen, allowing for swift operation and troubleshooting without need for a separate display, and it can also operate without a dedicated system; six on-appliance buttons allow commands to be executed on the device in instances where software access is limited.